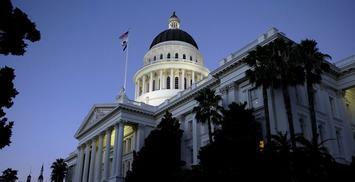 It’s become common folklore that California is booming and incoming Governor Newsom and the Democratic supermajority have more taxpayer money than they will know how to spend, save, or invest. Nothing could be farther from the truth; and it’s the California voters and taxpayers who will continue to be pay for this mistake. We literally owe trillions that isn’t being discussed. Just the estimated payments on public employee pensions in California will increase from $31 billion in today’s dollars to $59 billion in 2024; and this number is based on non-recessionary conditions or a major correction in the stock market. And California immediately needs $800 billion to over $1 trillion worth of infrastructure repairs, upgrades and new construction. Whichever calculation is used California owes trillions and doesn’t have a plan in place to address this issue. What should be clear is that California does not have a surplus or anything near a surplus factoring in total debt and infrastructure for a basic, functioning society California citizens and non-citizens expect. This figure also doesn’t factor in health care costs rising under Covered California, Medi-Cal or possibly expanding Medicare to include all Californians living in-state. Taxpayers will have to make up the shortfall through additional taxes – like eliminating Prop 13, voting in a VAT or services tax or some combination thereof – otherwise first responder-response-times, social services for the poor and needy; and environmental standard protocols will erode. There are other factors California will need to overcome to pay back their debt and realize we do not have a budget surplus. California’s unemployment rate is 33rd in the nation at 4.1%. The national unemployment rate is 3.7%. We have the highest taxes in the nation when the variables of the gas tax, state income tax, and sales tax are put into the equation. Additionally, California has the highest housing and rents in the nation per amount of residents. The median home price in California is roughly $544,900 whereas the remainder of the United States is estimated at $220,000. We artificially suppress housing supply (particularly, single-family-home) – though demand hasn’t diminished – driving up prices. Our stringent environmental standards evidenced by CEQA, SB 375, AB 32, SB 100 and CARB is hurting job growth and economic sustainability. High taxes and regulations; and a tough business environment are some of the reasons why Toyota, Occidental Petroleum, and Nestle USA food conglomerate left California. Now the second largest firm in California – McKesson Pharmaceuticals is seriously contemplating leaving for Texas – according to a report by the San Francisco Business Times. The issue isn’t whether or not these companies leave; instead it’s the high paying jobs with benefits across all income spectrums being driven out of California. Moreover, we need successful firms to assist tackling the trillions we owe in pensions, bond obligations and infrastructure requirements. After this recent election where it has become proper to bash Republicans – especially California Republicans – many will postulate there is no difference between Republicans and Democrats. When there is nothing farther from the truth. I’m not speaking about politics, which is essentially the means for winning elections and building coalitions for governance, I’m speaking about actual policies. How do you allocate taxpayer money? Do you want to tackle California’s debt or speak about a surplus instead? Do you believe in abortion, gay marriage, some form of socialism? Do you build a larger navy to confront global problems? Do you believe in fracking? Those are policy decisions that have wide ramifications for California policymakers and voters. The California Democratic Party currently believes in spending more than it takes in by amounts it will never be able to recover; though incoming Governor Newsome showed variables of fiscal restraint as Mayor of San Francisco. Of course there are establishment cronies and swamp-dwellers in both parties; but if you only take environmental policy using Tom Steyer as an example there has never been a more powerful oligarch in recent memory. The planet and California isn’t better off for the policies Mr. Steyer advocates for and our poverty and homelessness continues being the worst in the nation. These are examples of policy decisions similar to believing there is a budget surplus that have long-term, negative ramifications. What the surplus doesn’t take into account is California’s real poverty rate, which the Census Bureau standard now has at 19% and 43.9% higher than the remainder of the US. Disenchantment and disillusionment with both parties is en vogue, but there is too much at stake in our financial future to allow the Democratic supermajority to be let off the hook by continuing to spout the mantra of budget surplus.